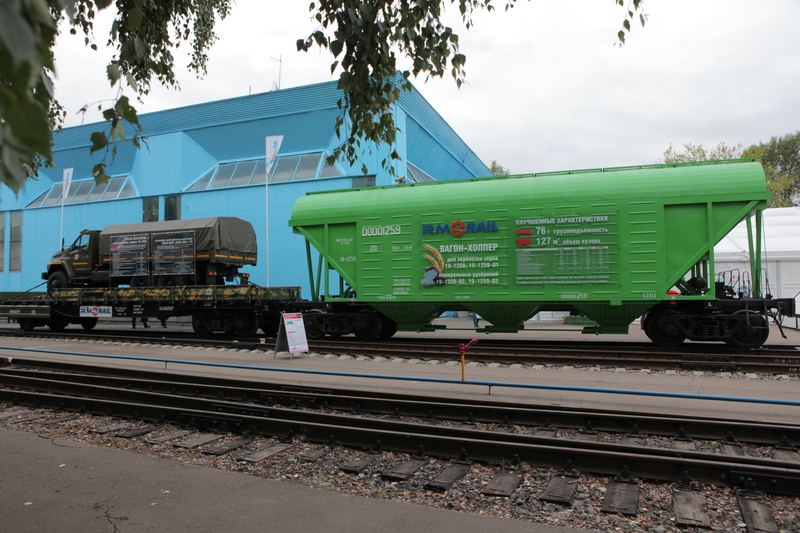 Two new rolling stock models are to be unveiled by manufacturer RM Rail at the International Fair of Railway Equipment and Technologies Expo near Moscow. As well as a new grain hopper (model 19-1259), RM Rail will be showcasing a general purpose railroad flat car (model 13-1258). The body of the grain hopper has an increased volume of up to 127m3 and a load capacity of 76 tonnes. The railroad flat car has a carrying capacity of 72 tonnes and has been designed to transport wheeled vehicles, steel structures, large-tonnage containers and tank containers for dangerous goods of up to 36 tons gross weight. It also suitable for transporting loose, bulk and timber cargoes – that do not need protection from rain – using retractable corner fittings.